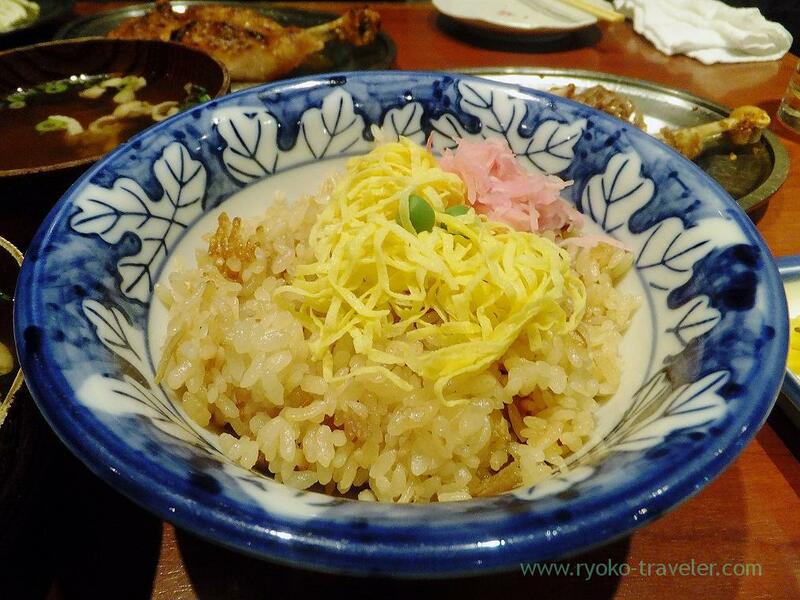 Honetsuki-dori is a specialty of Takamatsu of Kagawa prefecture. 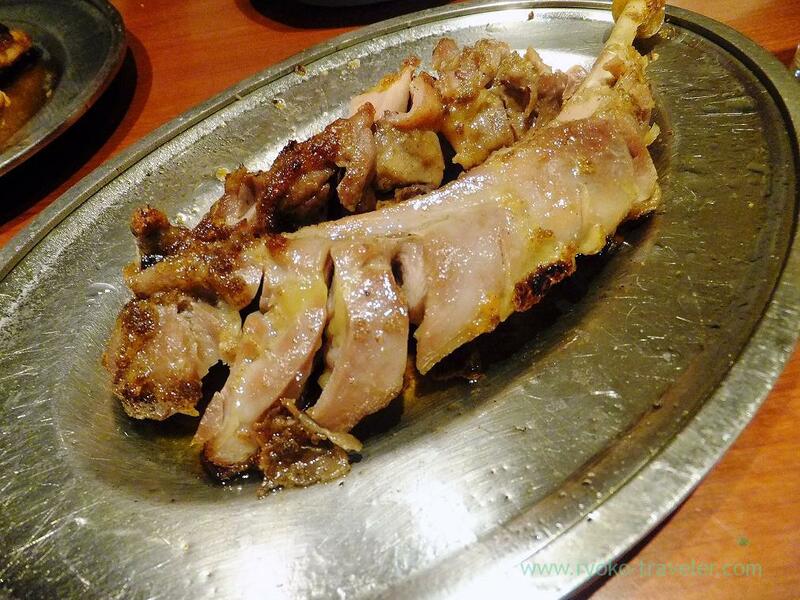 Honetsuki-dori means “Bird with bone”. Simply speaking, it’s just bird with bone. “Honetsuki-dori” is cooked with soy sauce, salt and pepper only. Recently I heard there’s branch of popular honetsuki-dori shop near Yokohama station. So I tried. Ikkaku. Well, That’s the Yokohama. Stylish entrance. 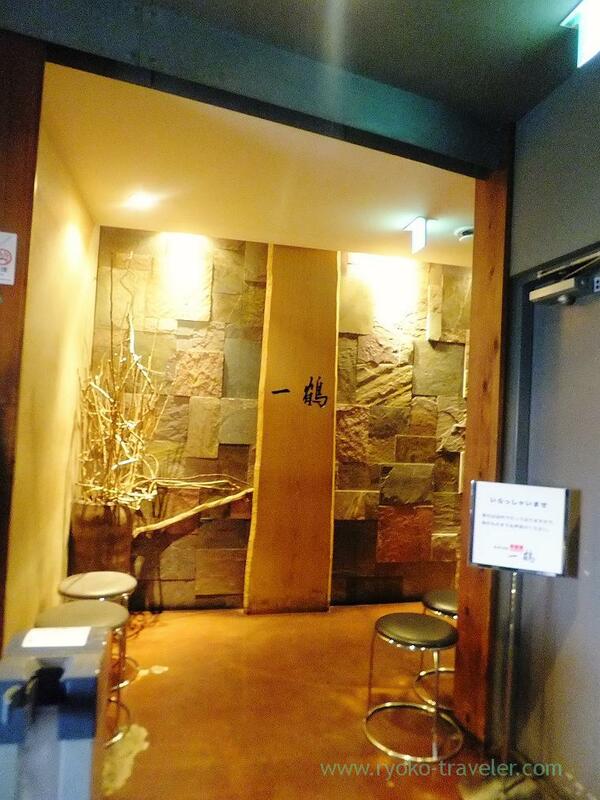 Not only honetsuki-dori, but also this izakaya serve many foods. Fortunately we were three person. So we ordered some foods. 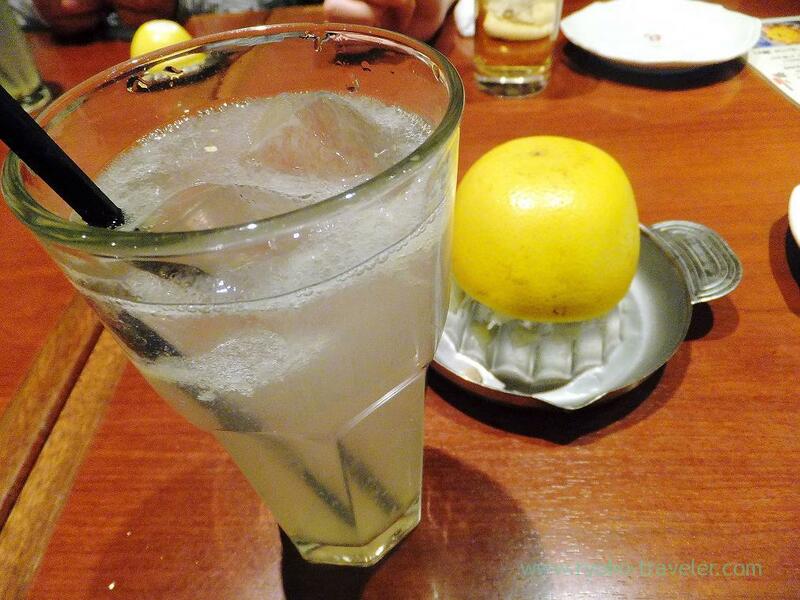 My drink was squeezed grapefruits sour (生搾りグレープフルーツサワー, 514 yen). This was the first time to squeeze fruits by myself ! At first, I had no idea how to squeeze, but I saw my friend doing, and copied his way of squeezing. Chicken caesar salad (チキンシーザーサラダ, 565 yen). Umm. It didn’t have much chicken meat on the dish. 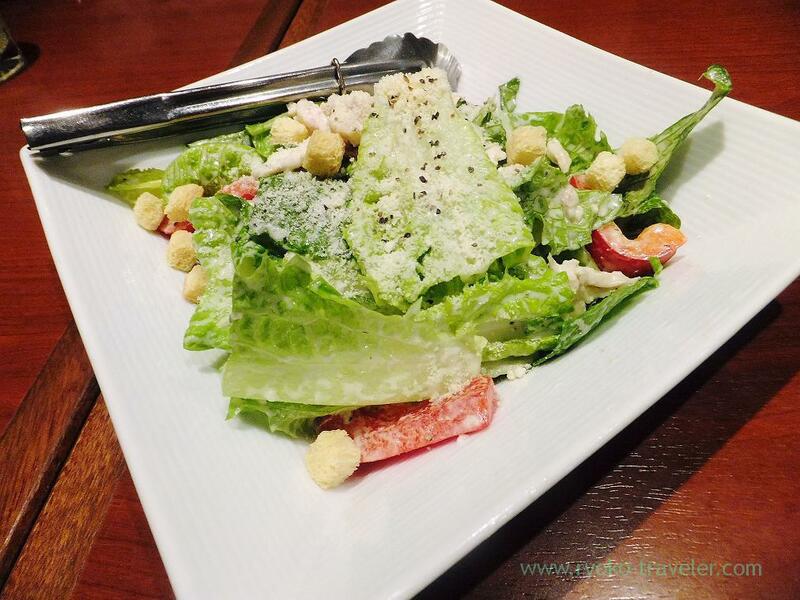 Ordinary Caesar salad. There are two species of “Honetsuki-dori”. Elder bird and baby bird. 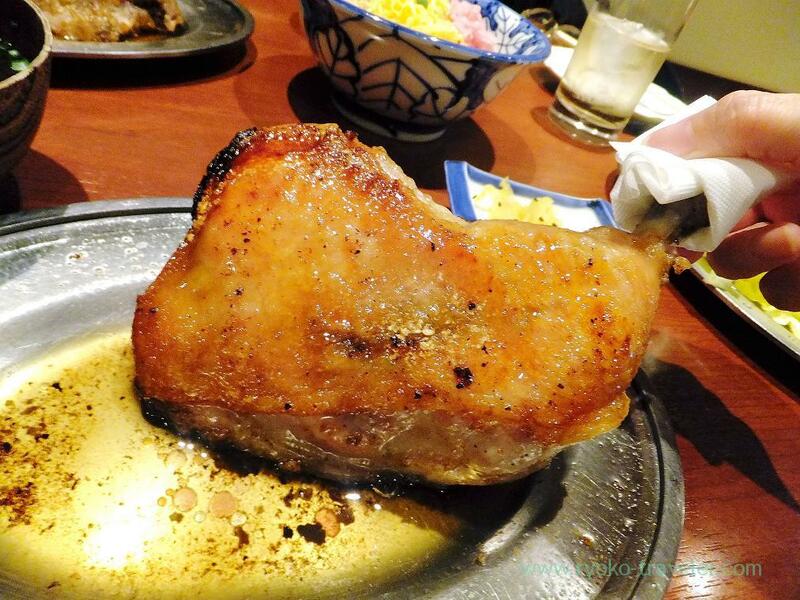 We order one baby bird (骨付き鳥 ひな鳥, 894 yen) per one person and eagerly bit into it. And we shared this parent chicken (骨付き鳥 親鳥, 1008 yen). The elder bird was chewy. But I liked it, too. Chicken rice (とりめし, 462 yen). Truthfully speking, because honetsuki-dori was seasoned too strong, I couldn’t feel this flavor. 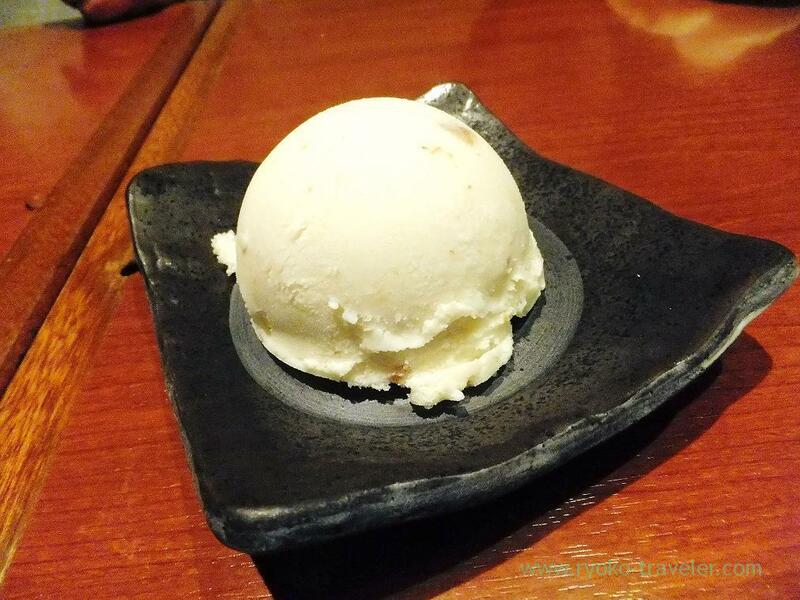 Shoyu-mame ice cream (醤油豆アイスクリーム, 308 yen) as dessert. That’s too big for one person. Though I could eat my longing honetsuki-dori, but it’s too salty for me. But I might feel like eating this salty chicken sometimes. But I’ll order honetsuki-dori and salad only. We ate too much ! Open / 5 p.m. – 11 p.m.
Saturdays, Sundays and another national holidays / 11 p.m. – 11 p.m. I recommend Honetsuki-dori when you have chance to go Takamatsu. 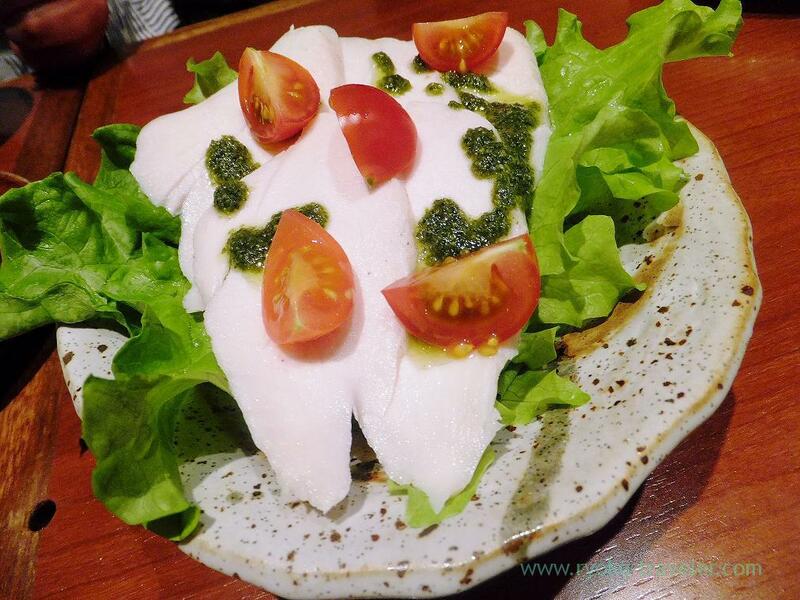 Maybe at Takamatsu, you can eat it with more casual price and atmosphere.